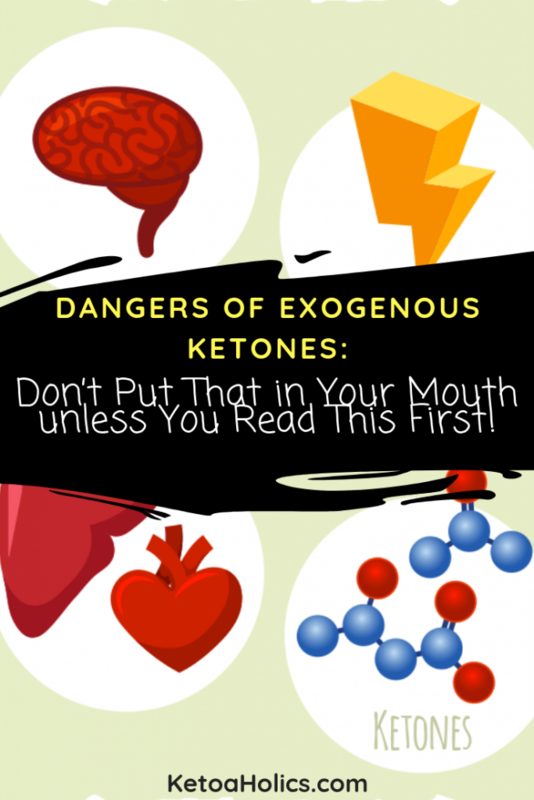 Dangers of Exogenous Ketones: Don’t Put That in Your Mouth unless You Read This First! 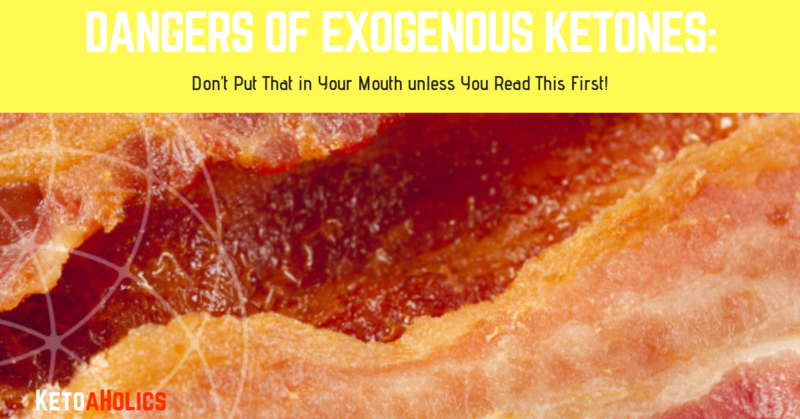 →Dangers of Exogenous Ketones: Don’t Put That in Your Mouth unless You Read This First! Do you really know what you’re’ getting into? Sure, ketosis may be working for you and you might want to kick it up a notch—but is supplementing with exogenous ketones really right for you? If you don’t understand the dangers of exogenous ketones, you might be taking a serious risk. Be careful. Take a few moments to read about the impacts of exogenous ketones before you decide to put them in your body. You don’t even have to do the research. We’ve listed several hazards and side effects for you to sift through in the sections below. You might have heard of ketoacidosis, but do you understand what it is? Ketoacidosis is a condition that happens when the ketone level in your blood rises too high. This can happen when your body is in ketosis. For diabetics, some of the first symptoms you might notice are the same symptoms you experience when your blood sugar gets high: dry mouth, urinating a lot and experiencing excessive thirst. You can also test your blood sugar. If it’s above 240 mg/dL, you may be in danger. Don’t take exogenous ketones if you have diabetes, because diabetics can be more likely to develop ketoacidosis than non-diabetics. If you get ketoacidosis, you’ll be dehydrated. One of the treatments you might receive could be an IV to rehydrate your body. You might also need to take an electrolyte replacement to help raise your blood PH level, too. This will help your internal organs function properly. A good electrolyte supplement might contain compounds like sodium, potassium, and chloride. When is it safe to supplement with exogenous ketones while avoiding ketoacidosis? Generally, if you’re not diabetic, the dangers of exogenous ketones may not be as harsh on your body. Just stay hydrated, keep an eye on your electrolytes, and watch out for symptoms of ketoacidosis just in case. While not everyone using exogenous ketones gets tummy trouble, digestive issues might be the most common dangers of exogenous ketones. Risk #3: Can exogenous ketones cause thyroid disorder? Ketogenic diets were first suggested to help patients with epilepsy. A recent study looked at 120 patients with drug-resistant epilepsy on ketogenic diets. Because thyroid function changes during periods of fasting, the study focused on what happens to the thyroid during ketosis. There are still a lot of unknowns about exogenous ketones. If one of the dangers of exogenous ketones is the way it might impact your thyroid, ask yourself: Is it worth the risk? However, if you struggle with high blood pressure, check your exogenous supplement. If it contains keto salts, you may be putting yourself at risk of elevating your blood pressure even further. Risk #5: what are the dangers of exogenous ketones regarding blood cholesterol? While this might be a reason to monitor the types of fats you’re taking in on your keto diet, does it have anything to do with exogenous ketones? Risk #6: How do exogenous ketones impact your blood sugar? Ketone drinks can lower your blood sugar. This can be good in some cases, especially for diabetics who are looking for ways to control blood sugar spikes.